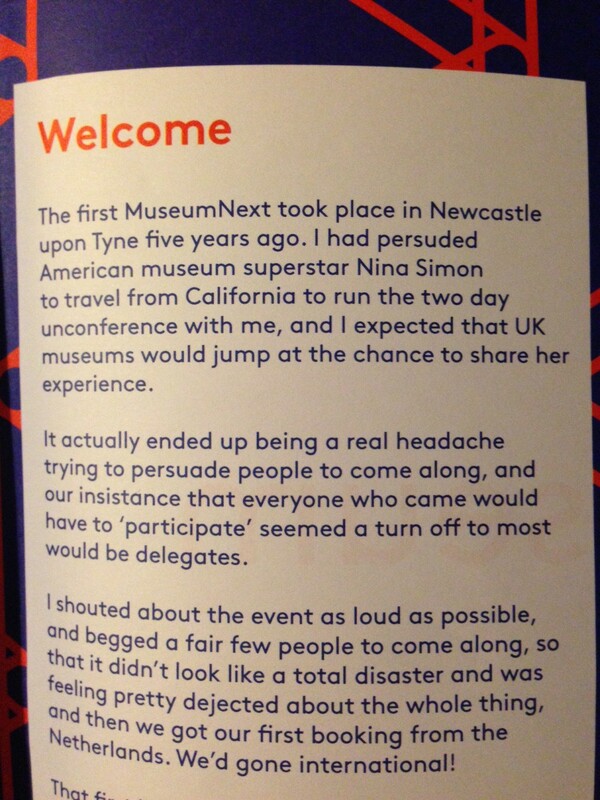 So I went back to the MuseumNext program book to have another look to see if something different might jump out that hasn’t been covered… and there in the Welcome was the key. If you’re like me, you probably missed the Welcome note from Jim. 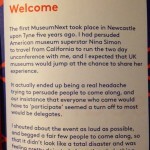 In it, he describes the challenges he faced from his first MuseumNext 5 years ago. Even with having a heavy hitter like Nina Simon the interest wasn’t there. But soon it went International with the first brave delegate from the Netherlands. And it has grown and grown ever since.